It’s been quite a while since my last blog post, but with good reason. If you have not already heard, I published a book! 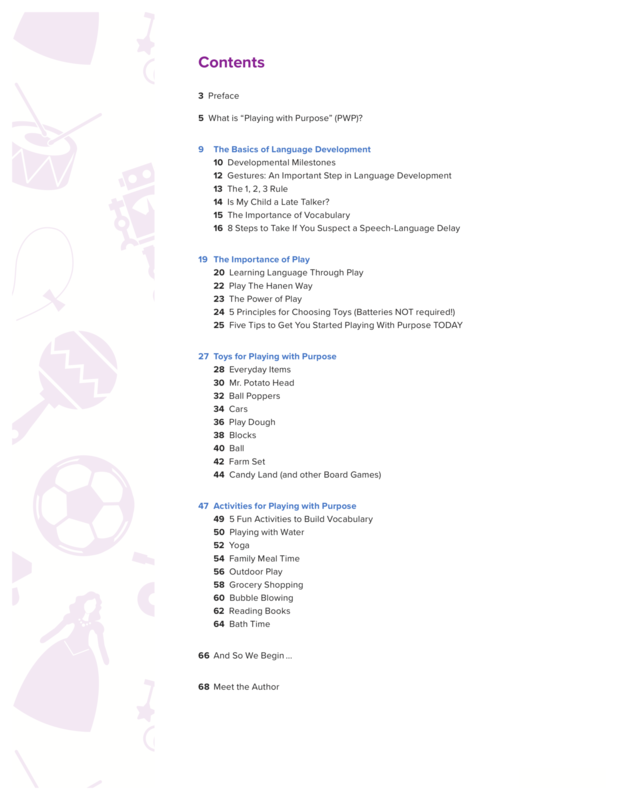 Like my popular blog series, the book is called Playing With Purpose. This book is the perfect resource for fellow SLPs, parents/caregivers, educators, childcare providers, and more. I am thankful for the support I have received thus far, and for the many kind words, those who have read the book already have shared. So in honor of Thanksgiving next week, I share an acrostic poem that will help you learn a bit more about this work. Take an extra moment to be intentional during play. 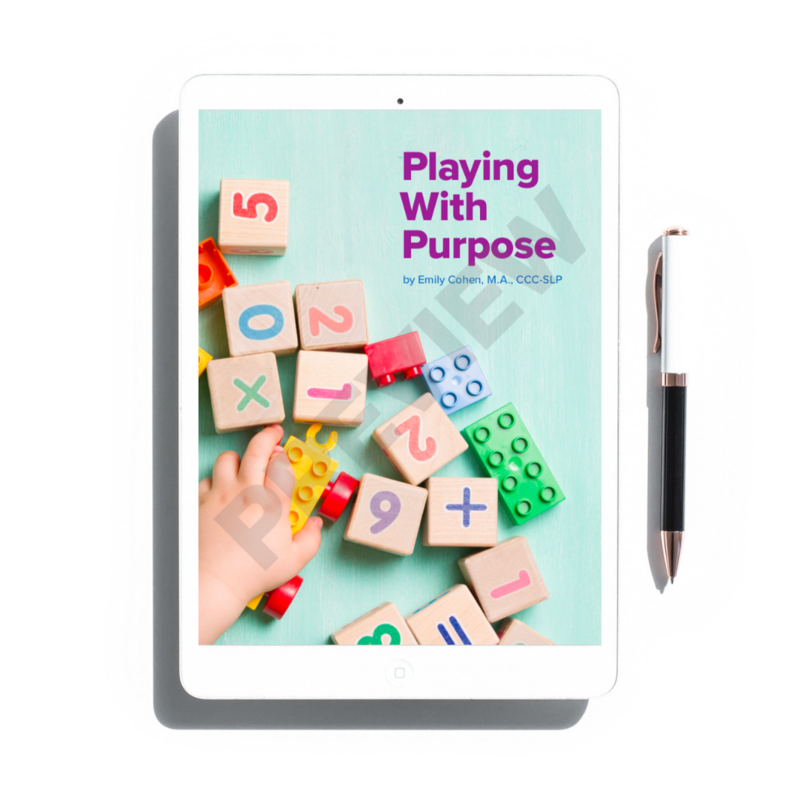 This was the sole purpose in writing Playing With Purpose–to teach you small tweaks to the interactions you are already engaging in with high reward for encouraging speech and language development. Have a plan while remaining flexible. 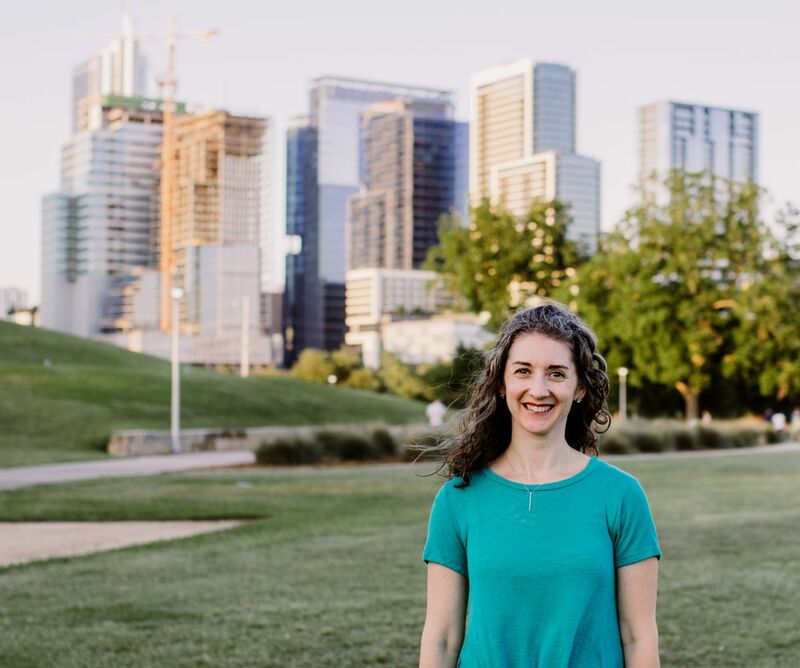 The tips provided in the chapters 4 and 5 will allow you to start a play interaction with a plan because ultimately you are the adult and you are in control. 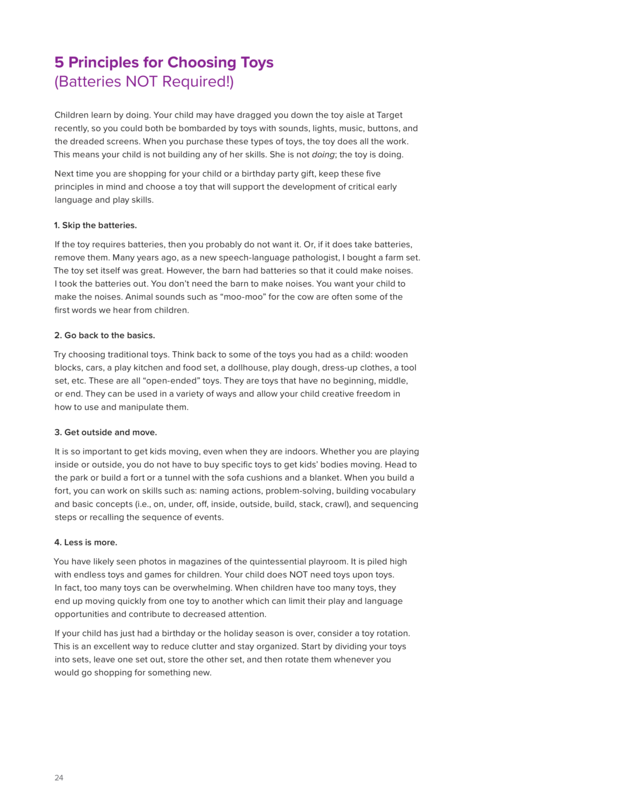 However, anyone who works with children will tell you that you also need to be flexible. Things do not always go as planned. Child-led play or following the child’s lead is hugely important. Find a balance. Arrange yourself to be sitting face-to-face. My goal, when playing with kids in therapy, is to sit face-to-face. When a child can see your face they get tons of useful information for their speech and language growth. They are able to see your mouth as you speak. The child receives all the acoustic information from your speech. And you also get lots of information by seeing their face and eyes too. We also set up good conversational skills we want our children to have such as eye contact. I tell a story in the book about a mother who moved her child’s play kitchen toys near their home kitchen. This is a natural environment. The child is learning vocabulary about food, cooking, and a kitchen all “in context.” These kinds of learning environment support the most long-term growth. Think back to the toys you played with as a child…the ones without batteries. Children learn by doing. Try selecting toys that allow your child to do the work, to be creative, and to manipulate the parts. These toys will support the most speech and language growth. When you follow a child’s lead, you engage in play with the toys they choose. After reading the book and the more you engage in purposeful play with a child, the easier this will get. 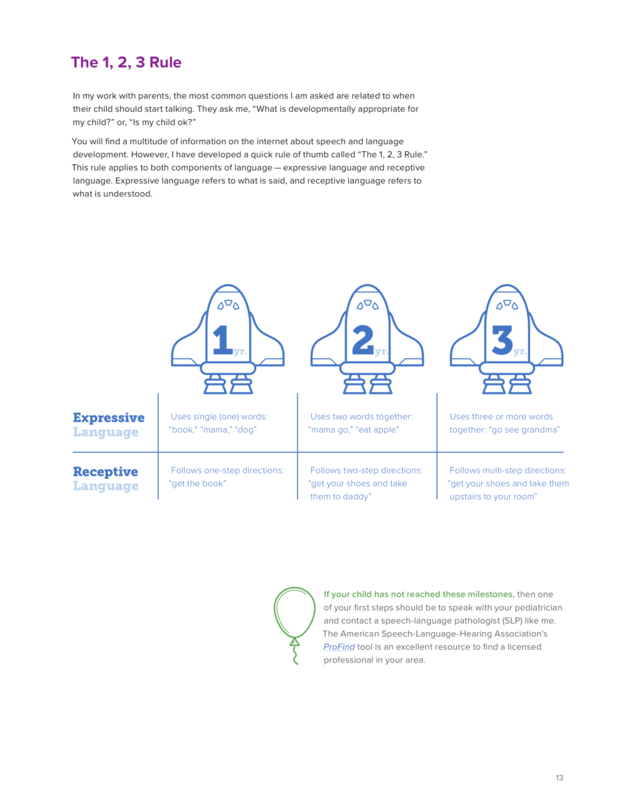 Child-led play will allow you to prolong your interactions which means more opportunities for language stimulation. I love toys with lots of parts. They allow me to offer pieces bit by bit. Each piece of the toy is an additional opportunity to encourage a new skill. Children love when we get down on the floor and act silly with them. Again, this keeps their attention. The longer you have a child’s attention and engagement the more opportunities you create for learning. This is the essence of Playing With Purpose. 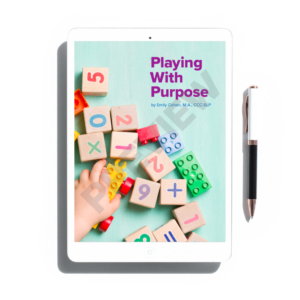 If you do not already own a copy of Playing With Purpose than as a thank you to you for your continued support, I offer you the promo code thankful to use at checkout for a discount.